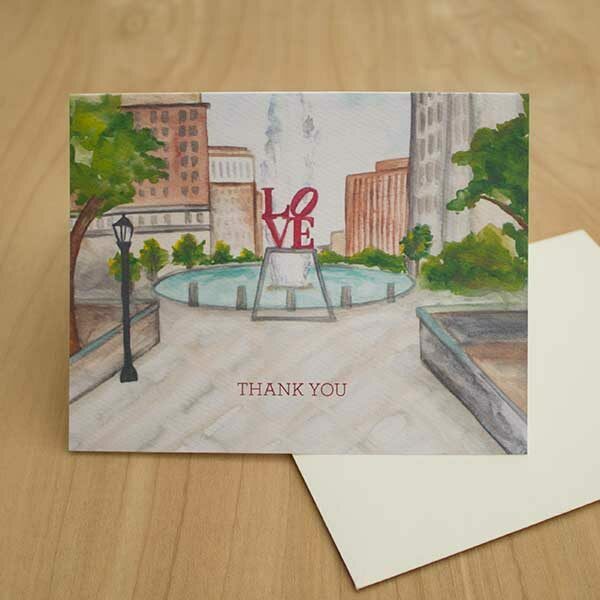 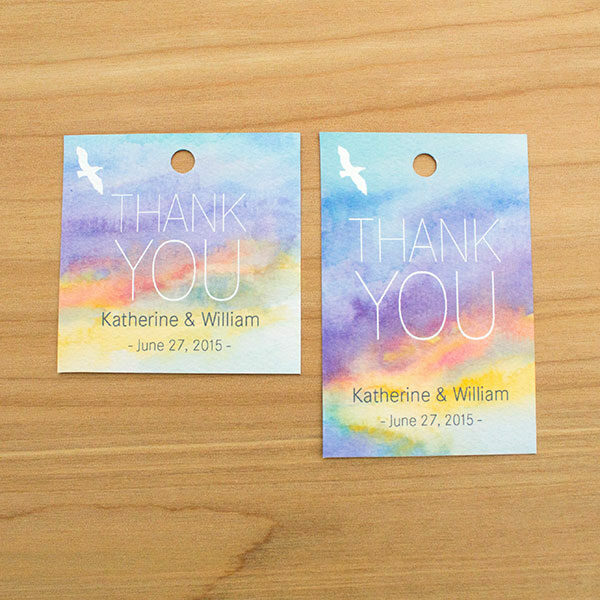 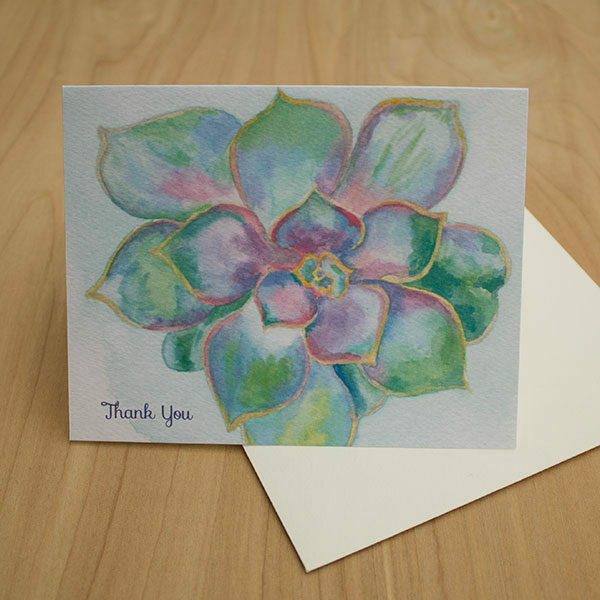 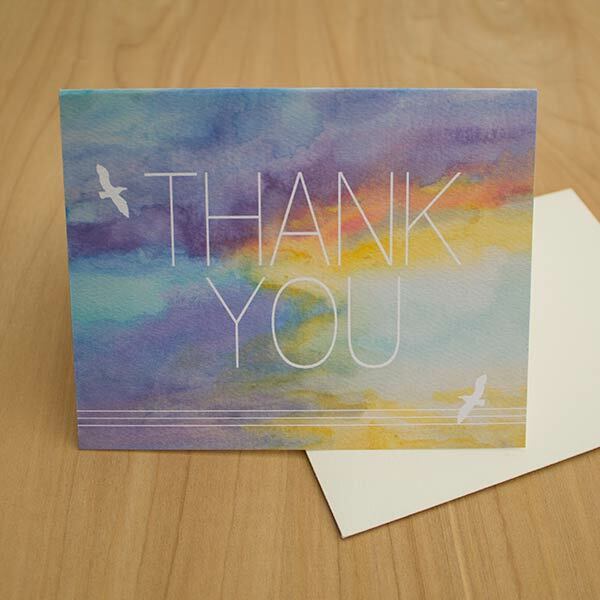 Hand-painted with watercolor Sunset Birds card with white modern “Thank You”. 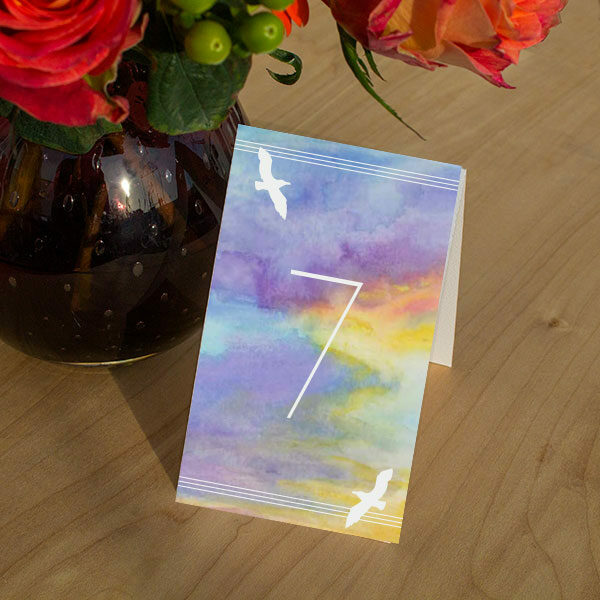 Hand-Painted Weddings logo is on the back of the card. 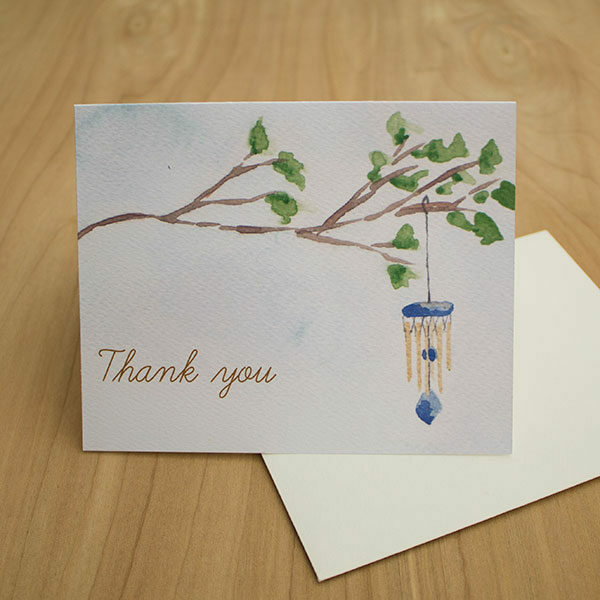 Blank inside for personal message.